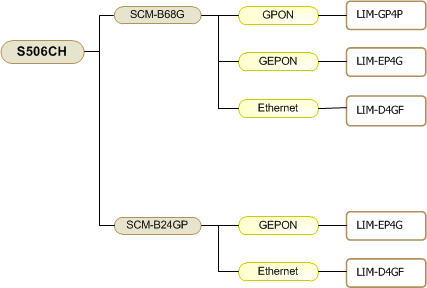 The S5 platform is high performance switch router that acts as PON OLT and Ethernet Aggregation Switch. It provides various optical links while generating and controlling the services. 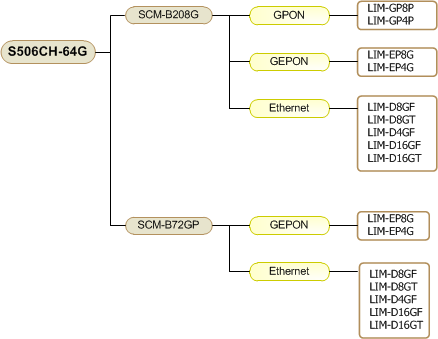 It offers the optical links of Gigabit Ethernet, GEPON, GPON and WDM PON. 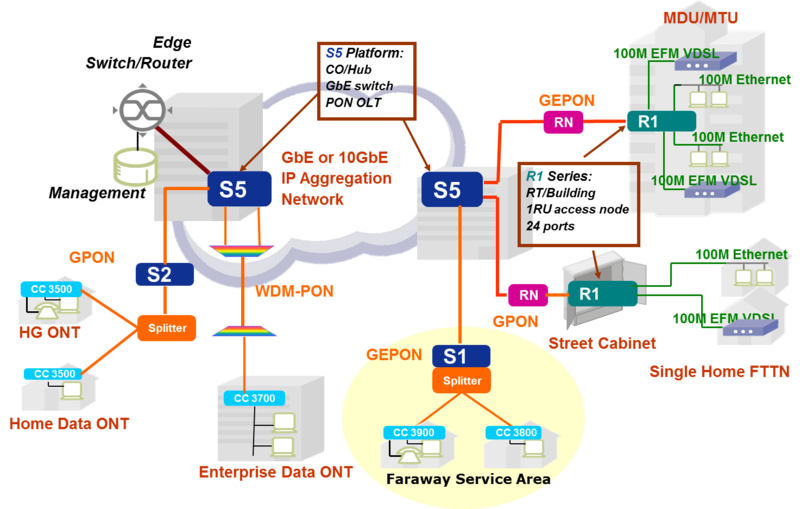 The S5 platform makes access network simple by integrating multiple functions into a single scalable platform. With its high functionalities and scalability, it enables both of residential and commercial services with a single platform. The S5 consists of 2 different types of chassis with various Switching & Control Module(SCM) and Line Interface Module(LIM). 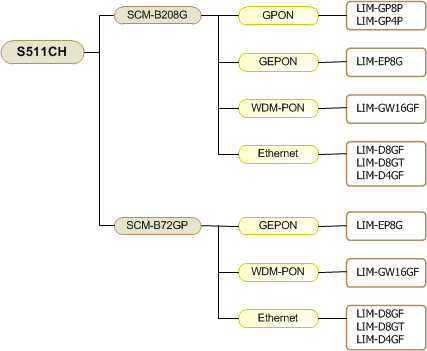 The capacity of back plane, SCM and LIM are scalable in terms of throughput and density. The 10 Gigabit Ethernet is ready for the service of today and future. SCM and LIM are compatible between chassis to implement a system with mix and match. With this modular designs, it provides the great flexibility for operators to have wide ranges of options depending on their services and density while keeping simplicity with same function and performance.